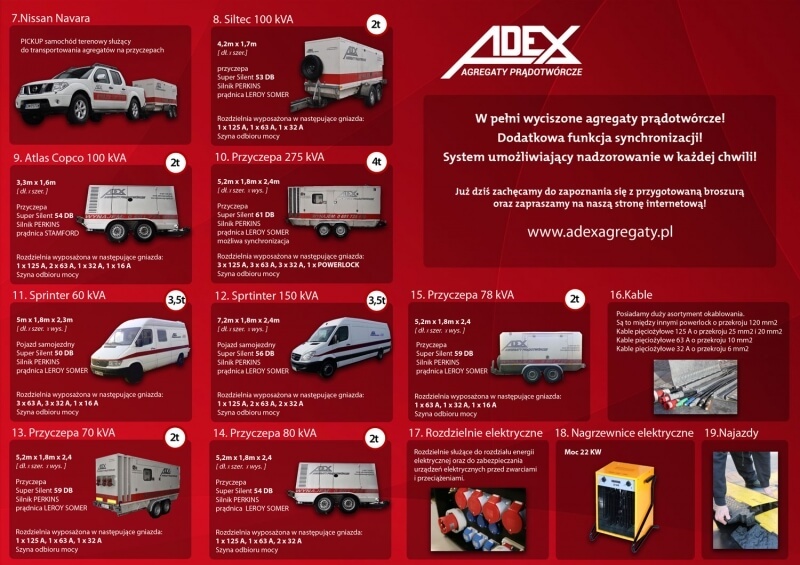 ADEX was launched as a company in 1996, providing our Clients from a variety of business areas with comprehensive services concerning the renting of power generators. 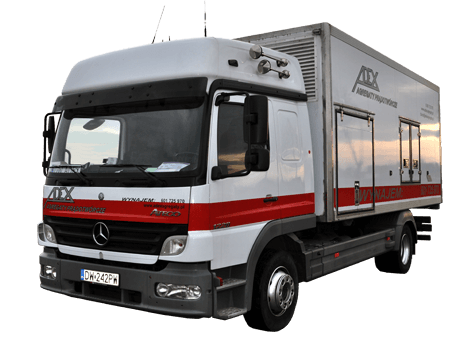 To provide our Clients with services of the highest quality is our primary objective and we are achieving it by reliable equipment, subjected to continual technical control, as well as 24-hour technical maintenance, which guarantees safety. Our experience and effectiveness helped us gain credibility which is going to be constantly enhanced. 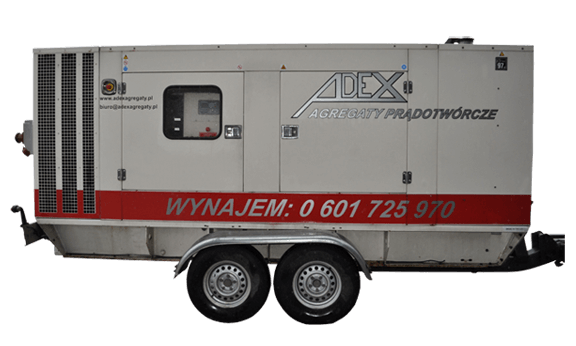 Professionalism and responsibility for our services of renting power generators, cables, cable protectors and switching stations constitute the fundamentals of ADEX. 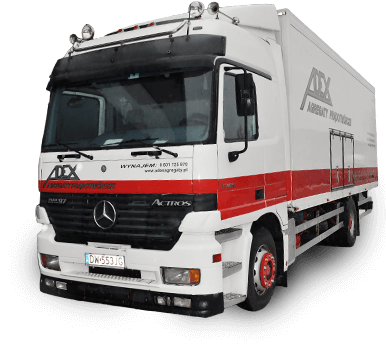 Furthermore, adjusting our offer and technology to changing market conditions together with the Clients’ growing demands are our major priority. 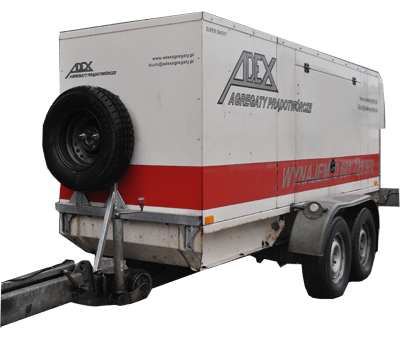 Thus, we are offering a vast array of comprehensive solutions in the field of generating energy including, among others, delivery and maintenance service in every place. 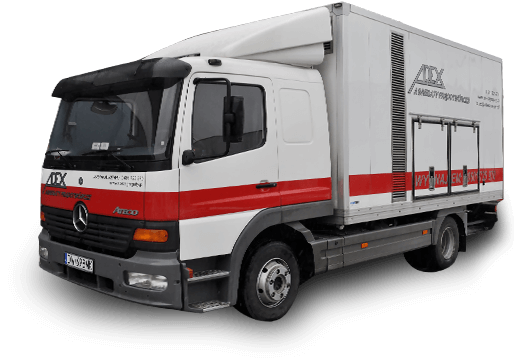 If you decide to rent equipment from us, you may be certain that you will get in return professional and comprehensive service based on expertise and help at any time. 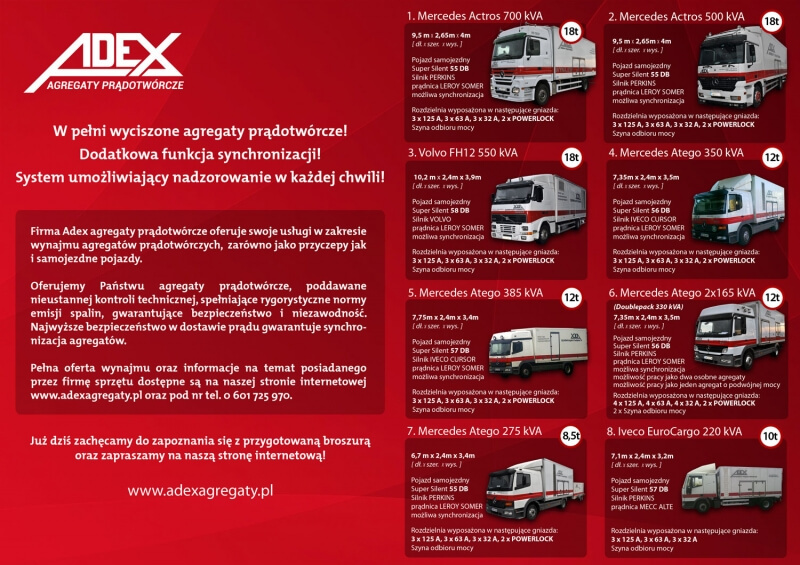 ADEX not only rent, but also ensure the Clients’ convenience and guarantees safety on every stage of an order. 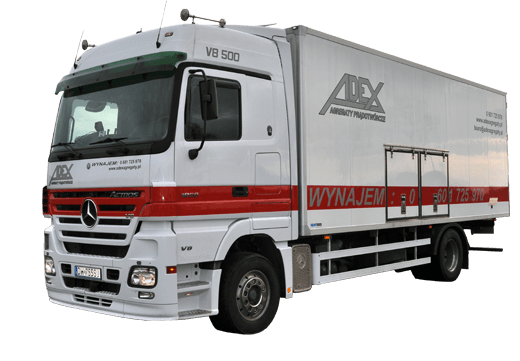 You will get in ADEX exactly what you need with the best ratio of quality to price. You will save your time and money with us and succeed in every enterprise you undertake. 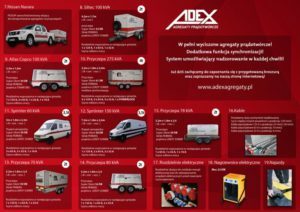 ADEX – we have ensured reliability and experience for ages! 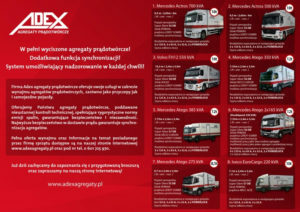 Make use of our expertise and equipment!